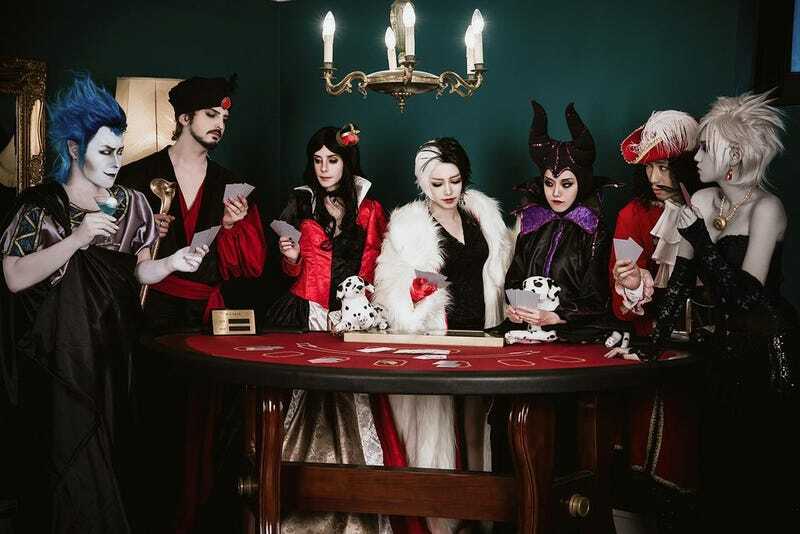 How much cheating do you think happens during a card game involving Hades, Jafar, The Queen of Hearts, Cruella, Maleficent, Captain Hook, and Ursulla? Everyone must have aces up their sleeves! At the very least, when so many Disney villains get together, there's gotta be some evil plotting going on, right? Or maybe they gossip about pesky princesses?